Launch managers deferred a Saturday launch opportunity due to high wind conditions expected to violate launch rules during the window. The new launch time is Sunday, Dec. 6 at 4:44 p.m. EST for the fourth Orbital ATK commercial resupply services mission to the International Space Station. The forecast for Sunday improves to 40 percent chance of favorable weather. 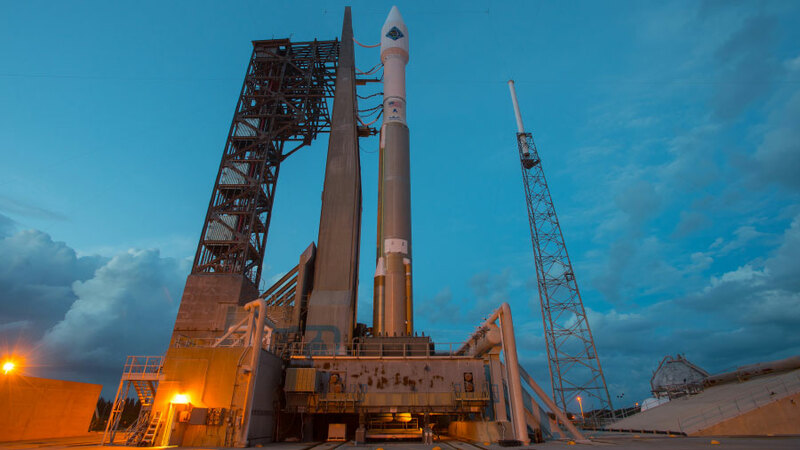 The Cygnus spacecraft will launch atop a United Launch Alliance Atlas V rocket from Cape Canaveral Air Force Station in Florida. NASA Television coverage Sunday will begin at 3:45 p.m.
Cygnus is loaded with more than 7,000 pounds of supplies and science and research investigations. Science payloads aboard Cygnus will offer a new life science facility that will support studies on cell cultures, bacteria and other microorganisms; a microsatellite deployer and the first microsatellite that will be deployed from the space station; and experiments that will study the behavior of gases and liquids, clarify the thermo-physical properties of molten steel, and evaluate flame-resistant textiles. For a mission overview, press kit, launch countdown coverage, NASA’s launch blog, and more information about the mission, visit: https://www.nasa.gov/orbitalatk. To join the online conversation about the Orbital ATK CRS-4 launch and the International Space Station on Twitter, follow @Space_Station and #Cygnus.